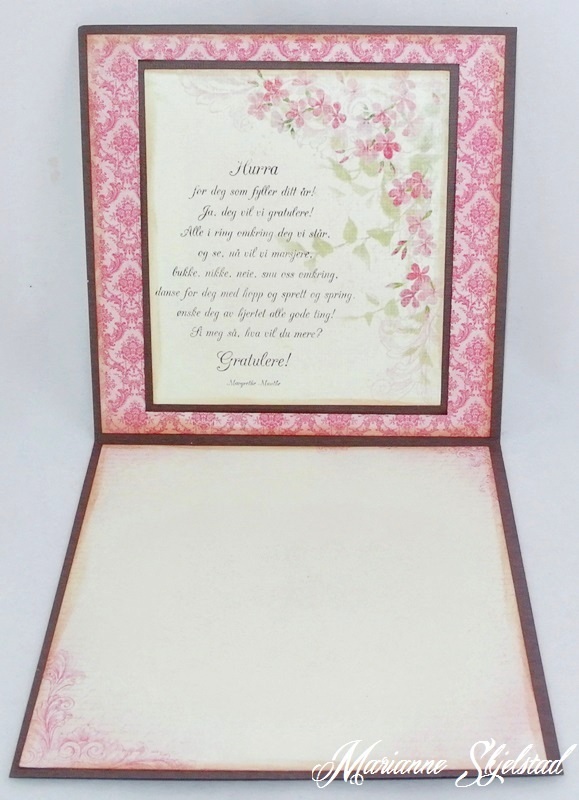 This time I have made a card in beige, brown and lovely deep pink shades. 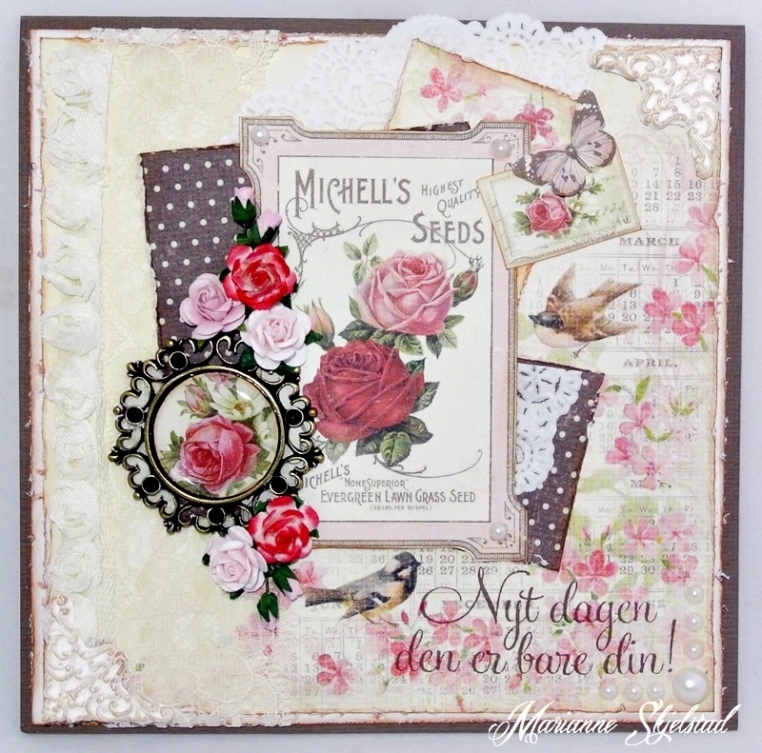 All papers and details are from the new collection Vintage Garden. On the sheet Seed packets I found a gorgeous rose image and I have also used a metal frame and epoxy stickers. For decoration I have used ribbons, roses and pearls. These papers are definitely a must – another beautiful creation (as well as Anne Kristine’s delicious blue one today, on her blog!